The first commercial brewery to open in Hackney since the 19th Century, London Fields Brewery was launched in the summer of 2011. Following a sequence of legal issues surrounding co-founder Jules De Vere Whiteway-Wilkinson, the brewery was acquired by Carlsberg in 2017, purchased in a joint venture with Brooklyn Brewery, with which the Danish company signed a UK distribution deal in 2016. Currently brewed at Truman’s Brewery in east London, the Carlsberg/Brooklyn takeover plans to return the brewing process to London Fields Brewery’s original site, having launched its first ever range of canned beers last year, each embellished with psychedelic illustrations from Luke McLean, having previously collaborated with bands such as U2, Motörhead and The Horrors. From the brewery’s core portfolio, ‘3 Weiss Monkeys’ is a white IPA, ultimately blending two unique styles: India Pale Ale and German Hefeweizen. Loaded with American Citra and Mosaic hops, the beer also features a large wheat body and German Weiss yeast which lends banana and spice notes. On pour, 3 Weiss Monkeys is hazy and capped with a thin white head. On the nose, citrus aromas are joined by feint tropical notes, banana bread, straw, grassy hops and a whisper of clove aromas. Slight banana and grass notes continue on the palate, joined by some lemon and grapefruit, plus wheat, peach and further clove. Highly drinkable with a medium body and light carbonation, London Fields Brewery’s 3 Weiss Monkeys concludes with a crisp, refreshing finish balanced with hoppy, moderate bitterness. 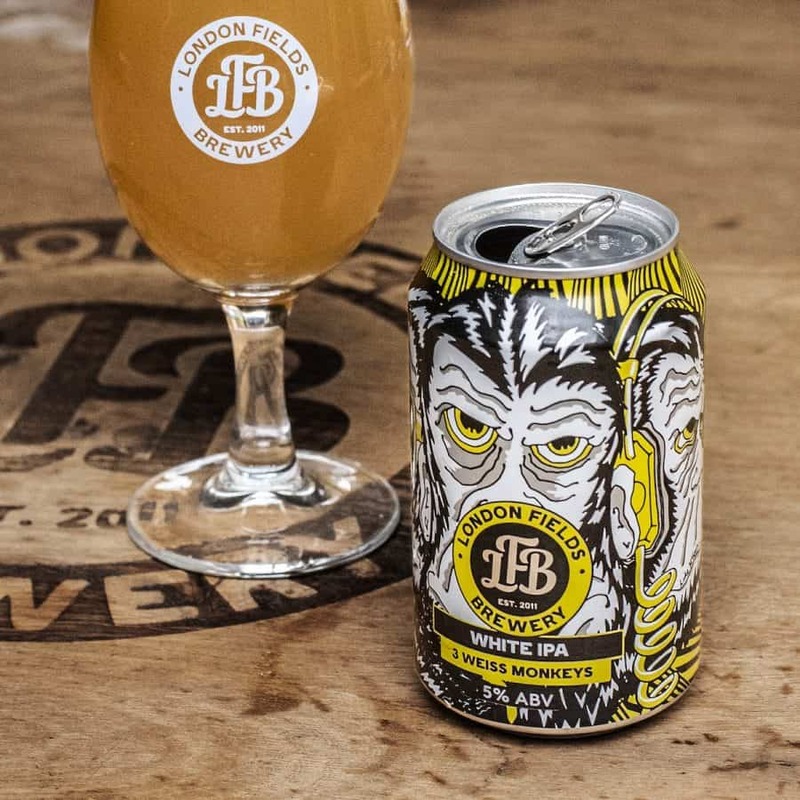 London Fields Brewery 3 Weiss Monkeys is available from Morrisons, £1.75, 330ml can (£6 for four). Further information on London Fields Brewery can be found here.